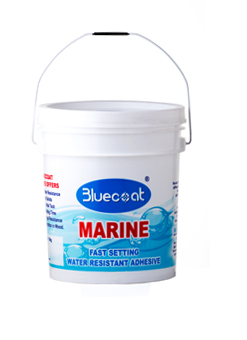 Bluecoat Marine is widely used for all Types of Wood, Cold Press/Hot Press and Post forming applications. Non Hazardous / non inflammable and free from harmful solvents. "Zero Wastage Pack" - New International bucket packing with an inbuilt small lead on the main cap for minimum wastage, free from dust, grease, any foreign particle and for minimum skin formation.